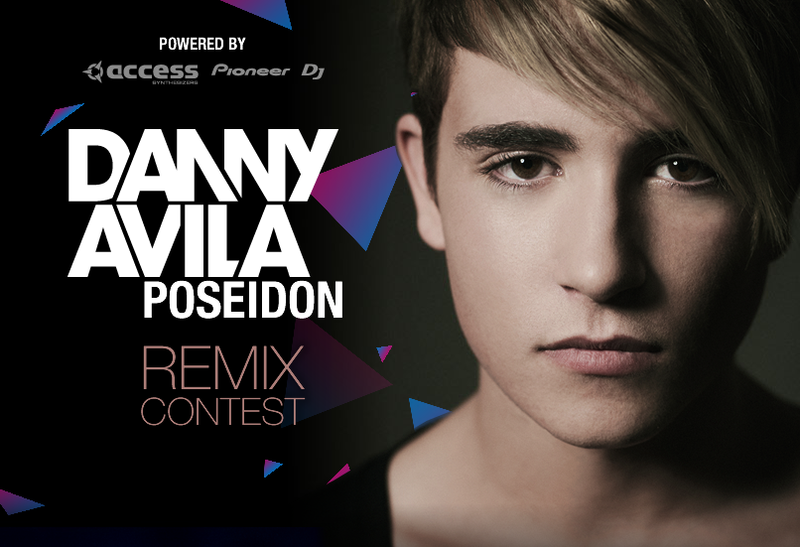 Danny Avila launches a remix competition for his latest track ‘Poseidon’ that will give one talented producer the chance to win a huge bumper prize package. 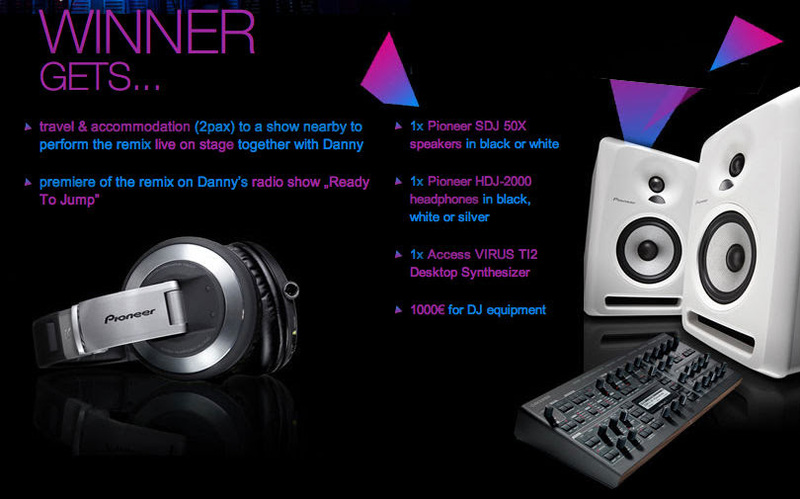 Remix ‘Poseidon’ and win, and you’ll get your hands on a pair of Pioneer S-DJ 50X Active Reference Studio Monitors, Pioneer HDJ-2000 DJ and Production Headphones, a state of the art Access Virus TI2 Desktop Synthesizer from Access Music, an additional €1,000 to spend on whatever DJ or studio production equipment your heart desires, PLUS the premier of your remix on Danny’s Ready To Jump radio show broadcast around the world, a feature spot across Danny’s Facebook and Soundcloud page AND flights and accommodation for you and a friend to a Danny Avila show near you where you’ll get to perform your remix LIVE ON STAGE with Danny. Producers have one month from January 15th 2014 to enter their tracks onto the Poseidon Remix Facebook application, after which time Facebook users around the world will be able to vote for and share their favourite remix for a two week period ending February 28th. 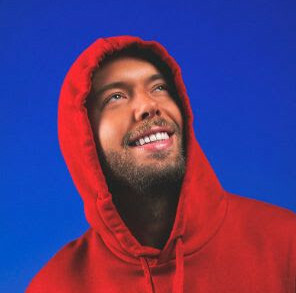 The 20 entries with the highest votes will go through to the final round, where Danny and his management team will pick the overall winner. This isn’t your ‘regular’ remix competition and for any producer, the cornucopia of studio equipment alone is the stuff wet dreams are made up of. The ‘TI’ in Access Virus TI2 stands for ‘Total Integration’ with the Access Music German-designed synthesizer more than living up to its name. Total Integration combines hardware synth with a virtual instrument plug-in for one of the most powerful combinations possible – plus thanks to its integrated sound control deck, the Virus TI2 works like a vintage synth live in the mix, only with the added bonus of killer horse power capacity and 21st century, ultra-fast finger-tip response. The icing on the cake; the Virus TI2 is not ‘just’ a synth but also a fully-fledged multi-effects processor in its own right. Once you’ve wrapped yourself around the Virus TI2 you’ll want to listen back to your new productions using only the best in high-definition sound resolution, which is where Pioneer, one of the most trusted and most globally recognized brands in the world, comes in. The S-DJ 50X Active Reference Studio Monitors are loaded with high quality speaker technology from Pioneer. Optimised to produce a rich bass and a tight, punchy kick even at high volumes, the S-DJ X series also comes with 1-inch dome tweeters that deliver a particularly wide sweet spot, and newly designed Class AB bi-amplifiers in the tweeter and woofer units to ensure a well-balanced response with no loss of clarity. Then add in a pair of HDJ-2000 headphones, with superb clarity, clear separation, up to 3,500mW of input capacity and high flux magnets that create exceptional resolution from bass to treble, and you’re talking a home studio set-up that will take your productions to a whole new level of sound.